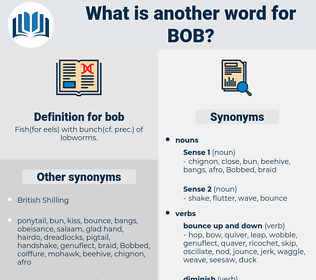 What is another word for bob? Fish( for eels) with bunch( cf. prec.) of lobworms. You shall be free, Bob!
" Yes, Bob is a good boy," agreed Teddy. plumb bob, plumb, kite tail, plummet, sounding lead. 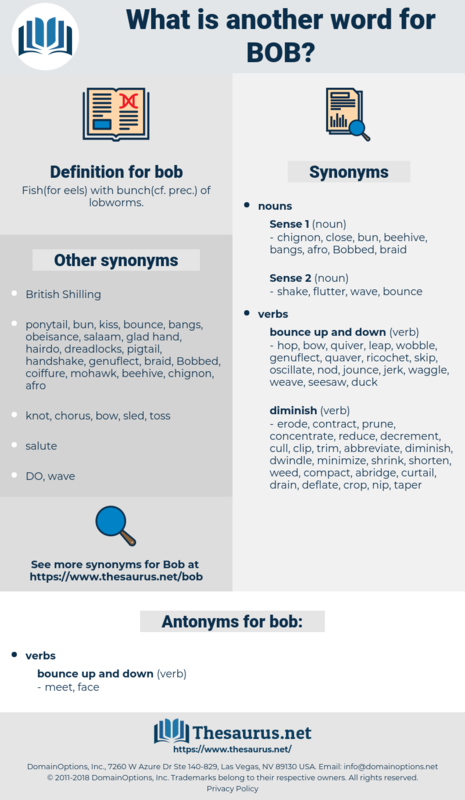 bob about, dabble, bob around. hair style, coiffure, coif, hairdo, hairstyle. coiffure, coiffe, dress, arrange, coif, set, DO.